If you’re lucky enough to receive dental insurance benefits from your employer or if you’ve purchased them yourself, you should definitely make sure you use your benefits! Dental benefits cover a wide-range of treatments using the policy maximum benefits to cover or help pay for dental treatments. You pay for these benefits on an annual or monthly basis, but only get the current calendar year to use the benefits. We can help you maximize your remaining money or benefits so you don’t lose your hard earned cash! Dental insurance benefits often cover exams, x-rays, and cleanings at 100% or no charge to you! Other dental treatments such as root canals, dental crowns, implants are covered at a certain %, but nonetheless is money you don’t have to pay out of your own pocket! All you have to do is call (714) 424-9099 now to schedule your appointment! You have to schedule before 12/31/15 to use your money though! To maximize your benefits, a friendly and knowledgeable member from our dental team will take down your information and call your insurance company to verify eligibility and coverage. During your visit, Dr. Jorgenson will provide a thorough and comprehensive examination. If treatment is needed, our treatment coordinators will use your remaining benefits and coverage to utilize the money the best way possible. We will ensure you get the treatment you need with the maximum amount of insurance coverage allowable! Call and speak with one of our dental insurance experts today (714) 424-9099 or shoot us an email at info@mycostamesadentist.com! 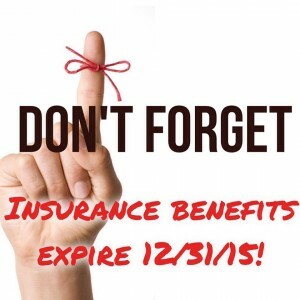 Don’t miss out, because you’re not sure what benefits you have left or what they will cover for you! 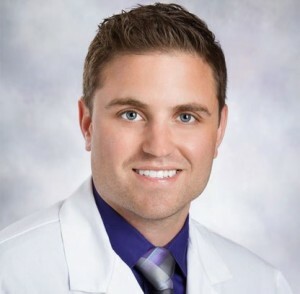 Dr. Jeremy B. Jorgenson is the owner of and dentist at Advanced Dental Care located at 3033 Bristol St. Ste. AA, Costa Mesa, CA 92626. For more information, please call (714) 424-9099 or visit www.mycostamesadentist.com!